Consumers, especially patients with medical conditions, are often in the position of blindly trusting their doctors, pharmacists, and the manufacturing companies that develop and distribute drugs. While most of the drugs on the market have been tested, there are always potential dangers. Since the outbreak of meningitis associated with steroid shots last year, the Food and Drug Administration has been scrutinizing the manufacturing plants of similar products. The FDA is the federal agency responsible for ensuring that specific products, including over the counter drugs, prescriptions, and other food products, are safe for consumption. When reporting dangerous drugs or other contaminants, the FDA can recall those products temporarily or ban the products completely. Currently, the agency is investigating reports of bacteria found in the same steroid shots that caused a deadly outbreak of meningitis last year. While the FDA and the Centers for Disease Control and Prevention work to determine the newest species of fungus and bacteria, the victims have continued to suffer from adverse effects, including skin and soft tissue abscesses. Our Boston dangerous drug attorneys understand the gravity of injuries and are dedicated to helping victims protect their rights against large drug manufacturers and pharmaceutical companies. The agency initiated the investigation after reports that the products were linked to infections. According to the FDA, the contaminants were found in sealed vials of steroids, which were produced and packaged by Main Street Pharmacy. The company has since recalled its products nationwide after 24 people developed abscesses at the site of their injections in Tennessee. Though meningitis has also been linked to the same injections, the FDA claims that there are no cases associated with the new site. 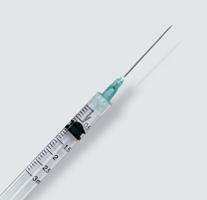 The injuries and consequences caused of the meningitis injections have been severe and widespread. According to the CDC, 58 people died and 745 other victims developed infections after receiving contaminated injections from the New England Compounding Center in Massachusetts. Overall, there have been over 300 cases involving abscesses or bacteria related infections caused by the drug. The newest outbreak involves products that were distributed to 13 states. The federal agencies are continuing their investigation to determine if more patients are at risk. The agencies are particularly concerned about the injections since meningitis outbreak and have found that many of the manufacturing plants were in violation of regulations and operating under unsterile conditions. To prevent additional injury and health risks, the FDA is requesting that health care providers and consumers report adverse consequences of drug use or any additional problems that could be associated to the Main Street products. If you or someone you love was injured or suffered because of a defective drug, you should report that injury to FDA’s MedWatch Adverse Event Reporting program. The consequences of a dangerous or infected drug can cause significant and permanent health conditions and in some cases, death. Victims and their families in New England or nationwide may be entitled to significant compensation for those losses and should contact an experienced advocate who can initiate an immediate investigation. If you suffered from a defective drug in Massachusetts, call the Law Offices of Jeffrey S. Glassman for a free and confidential appointment — 1-888-367-2900.